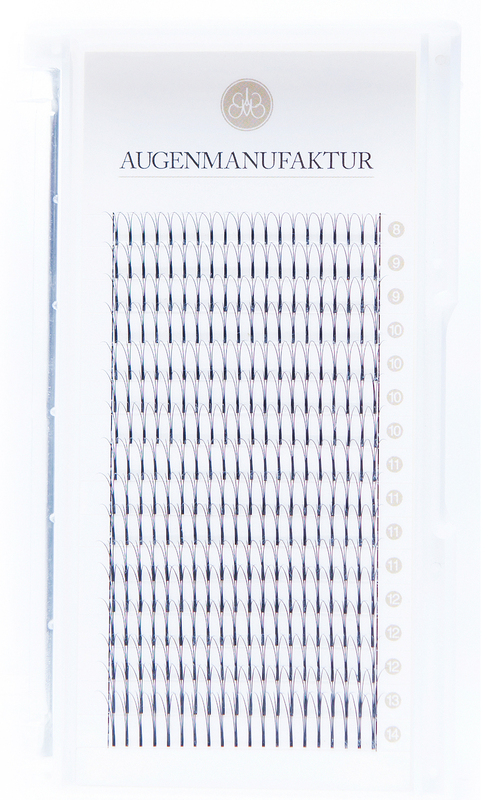 Each of these eyelash cords consists of three W-shaped lash hairs with a small adhesive dot. 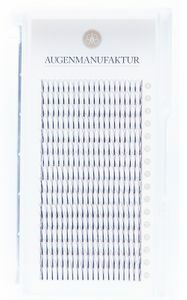 The eyelash cords can be used as a replacement for the volume technique or also for eyelash gaps. The strong C- curve in addition provides the Wow Look. PBT fiber is a high-quality synthetic material.